At the outset of the Vietnam War, the Army created an experimental fighting unit that became known as 'Tiger Force.' The Tigers were to be made up of the cream of the crop-the very best and bravest soldiers the American military could offer. They would be given a long leash, allowed to operate in the field with less supervision. Their mission was to seek out enemy compounds and hiding places so that bombing runs could be accurately targeted. They were to go where no troops had gone, to become one with the jungle, to leave themselves behind and get deep inside the enemy's mind. I have to say this one was hard to listen to. Considering the subject matter, I have to applaud the authors and narrator for doing such a good job. In retrospect, the outcome was predictable but still a shock none-the-less. This listen is not for the squeamish. Having grown up in the Vietnam era; lucky enough to avoid the draft but nieve enought to believe Johnson, Westmorland et al, I thought this was a fascinating account of the true war in Southeast Asia. These men were simply the end products of a terribly misguided government and its military. 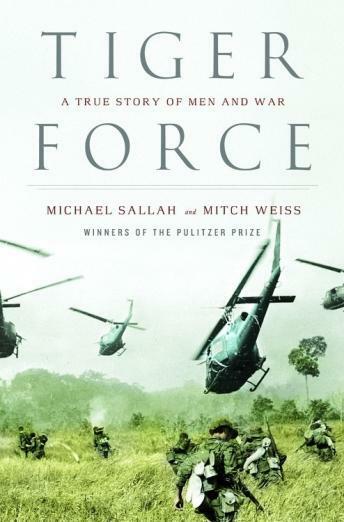 A must for anyone who lived through the Vietnam era. I am a Viet Nam Vet and was in Recon. I both read the Book and Listened to the Audio Book. Both were excellent. Make no mistake this is not how all Viet Nam Vets should be portrayed. From expierence I can tell you there were alot of career soldiers who pushed men in the field to try to advance their own careers. This is what can go wrong when men are under to much stress and true leaders look the other way.